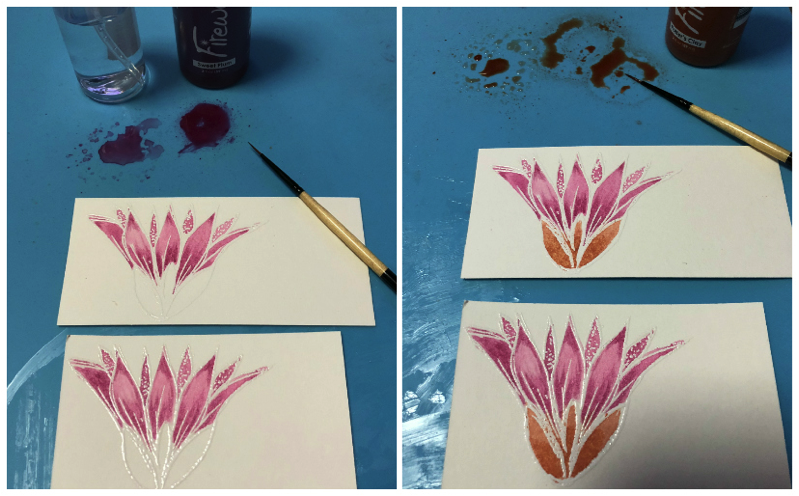 Have you ever tried to stamp onto plastic or acetate? Normally it takes close to never to dry and if you do finally get it to dry it will still smear ruining what you just stamped. Not if you use StazOn ink! I used a background stamp with some Cotton White Opaque StazOn Ink to create this pretty wedding card. 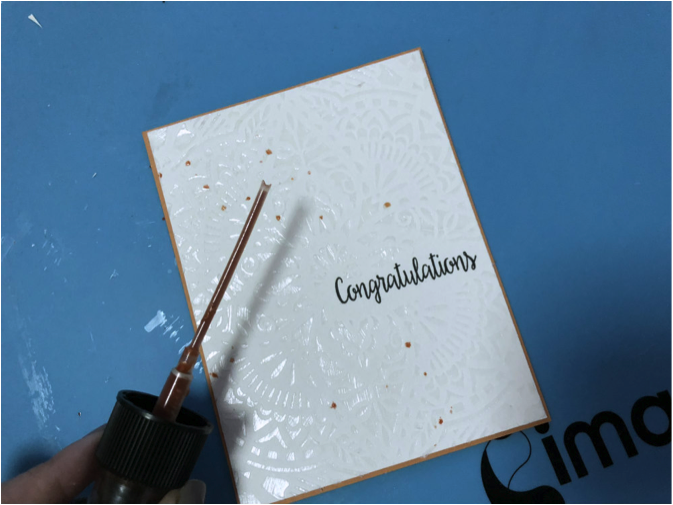 Watch my video tutorial below to see how I created my card and how amazing StazOn works on acetate. Enjoy! Stenciling with color and texture always makes for a stunning project. This concept is perfect for wedding cards as it keeps the look elegant and still unique. 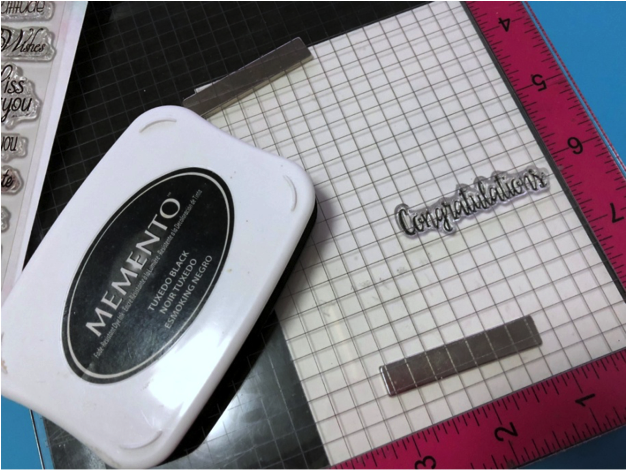 Make something special for the happy couple with just one design element and two different products: Memento and Creative Medium. Take a look at how to do it! 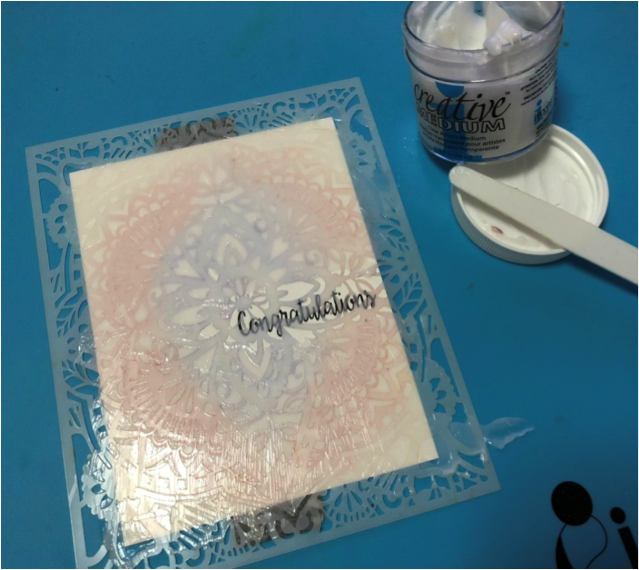 Secure the stencil over cardstock and using a jumbo dauber apply the Memento ink in circular motions. Try to create an ombre effect or gradient of color. 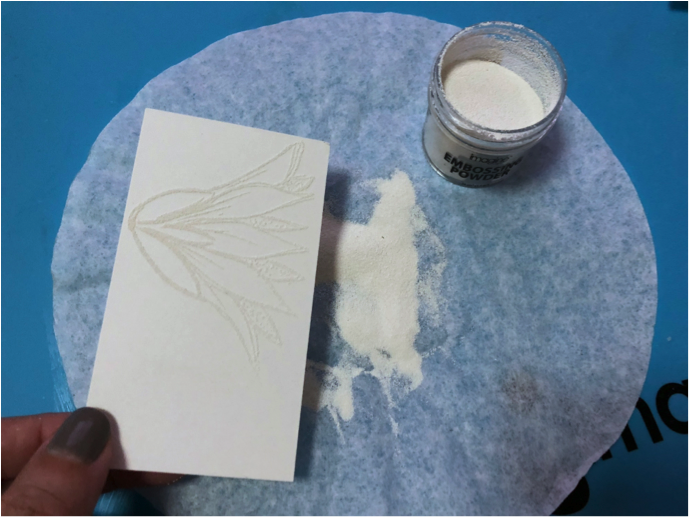 Leave the stencil and paper where it is for step 2. Now apply Creative Medium Clear over the inked area. Not only will it add texture, but you will notice how it will intensify the color when it is dry. 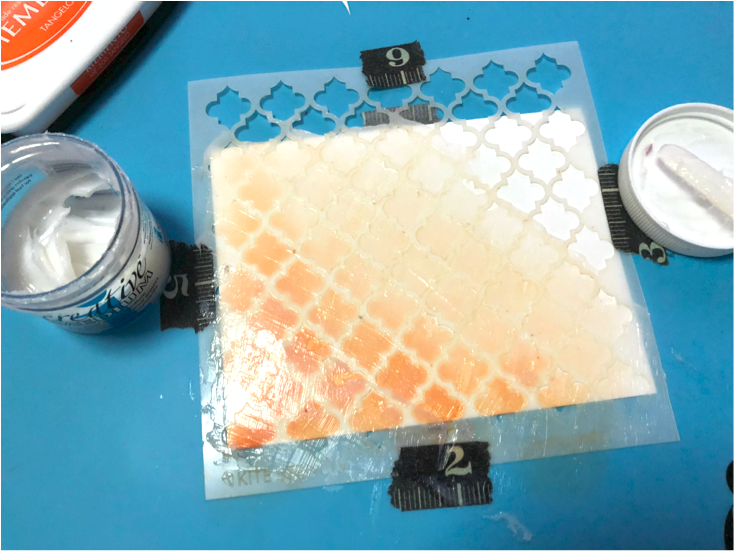 When you finish this step, remove the stencil immediately and wash with warm water. Let this dry completely before finalizing the card. 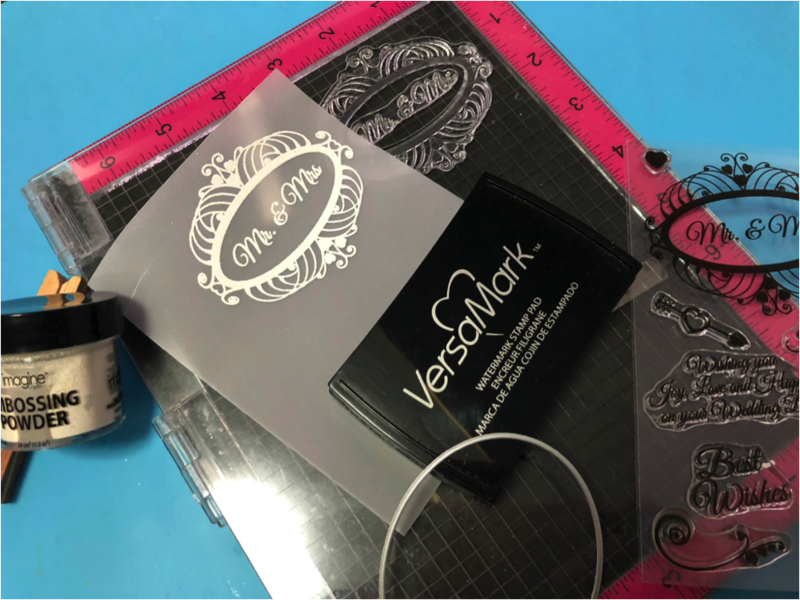 On a piece of vellum stamp the wedding sentiment or image using VersaMark and White Embossing Powder. I used two images included in the stamp set Wedding Wishes by Joy Clair. 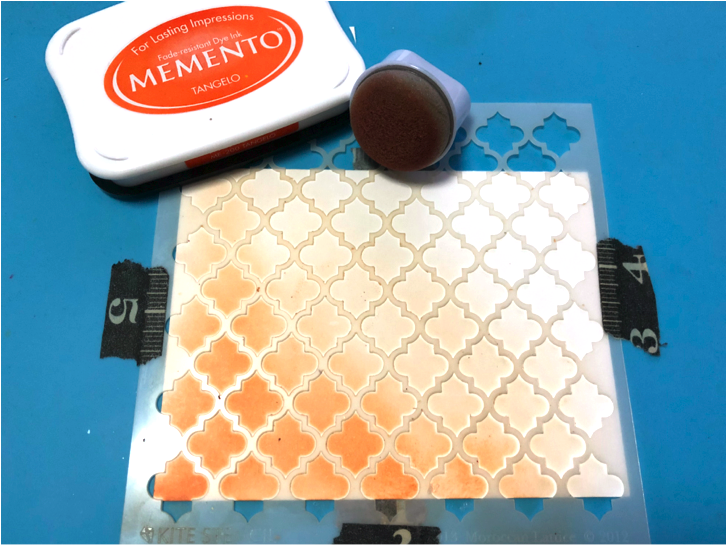 Then I cut the stamped image with one Nesting Oval Infinity Die from Hero Arts and colored some details of it using colored pencils that match the Tangelo Memento ink. To finalize the card, paste the stamped oval using double-sided foam tape. To avoid seeing it through the vellum I put the foam under the embossed area. 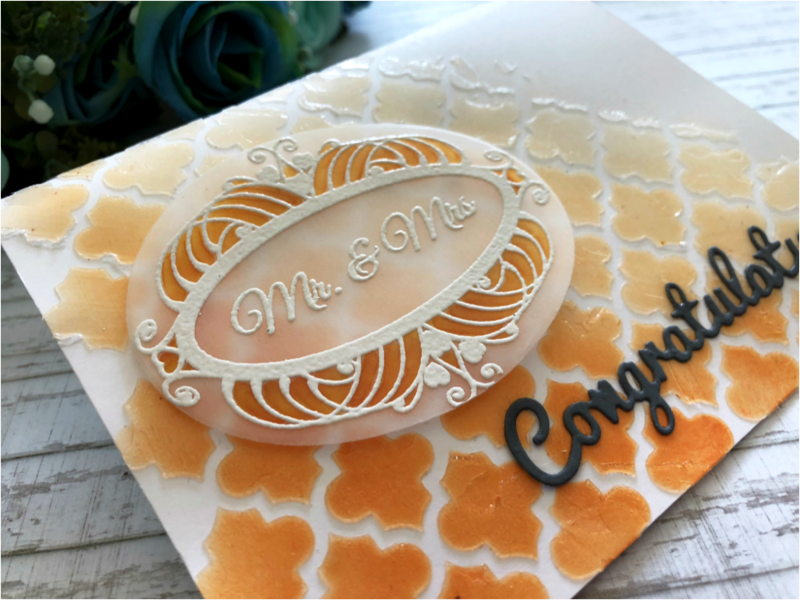 I also complimented the design with a Congratulations die cut word that I adhered using On Point Glue. 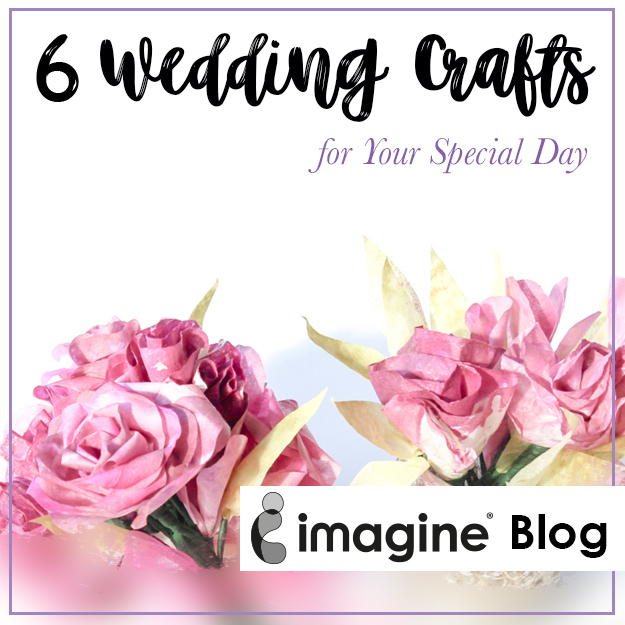 We are wrapping up a week of Wedding Craft inspiration and thought we would do a little recap. Please pin this page as a reference or share on facebook. We encourage you to pull from these design ideas and mix and match them to create what you need. For example, Kyriakos table decor almost matches Kassy’s banner perfect. With a little tweaking on each design, you could easily create a full array of decor for a wedding. 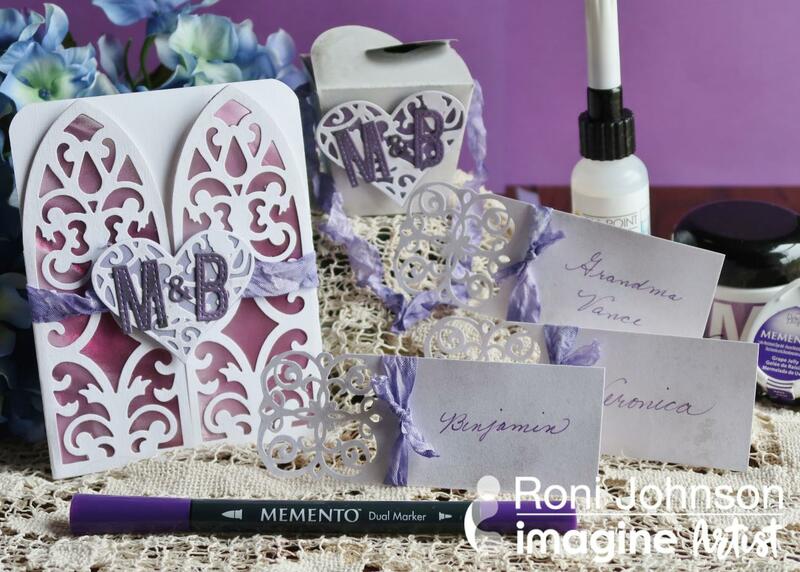 Create a Matching Wedding Set – the Invitation, Favor Box & Placecards by Roni Johnson. As always, Roni outdid herself by creating three dynamic matching papercraft projects featuring a free download for a favor box. Using the Imagine’s Color of the Month (and Pantone’s color of the year) Ultraviolet as inspiration for the color scheme. Kyriakos has a knack for jewelry and table decor. He certainly shows off this knowledge in this post where he creates a pull tab card, napkin ring, cutlery placeholder and wine glass placeholder for a lovely DIY shabby chic style. 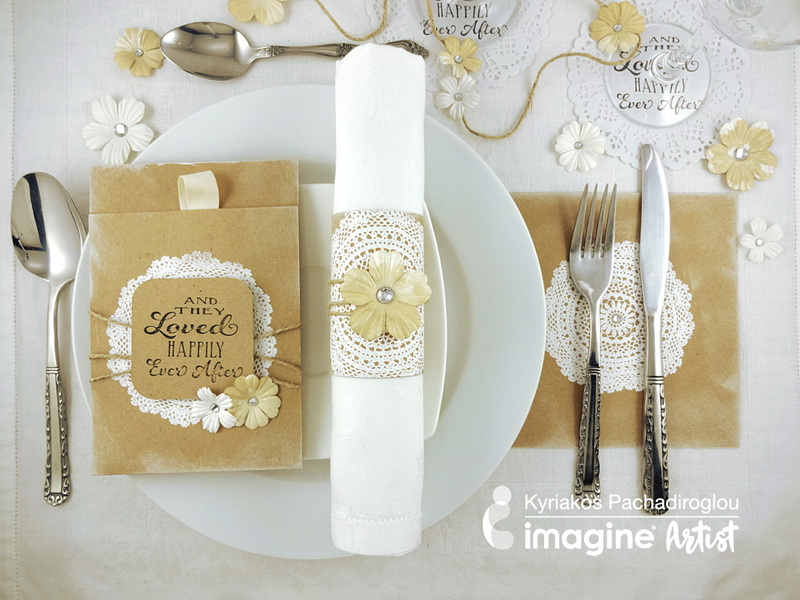 One super fun element we love in this design is the doily stamp. Yes.. that is a stamp not as an actual paper doily. We are so impressed with how these paper flowers turned out! Since Jennifer is one of our video artists, you will have the luxury of seeing for yourself how these are handcrafted. 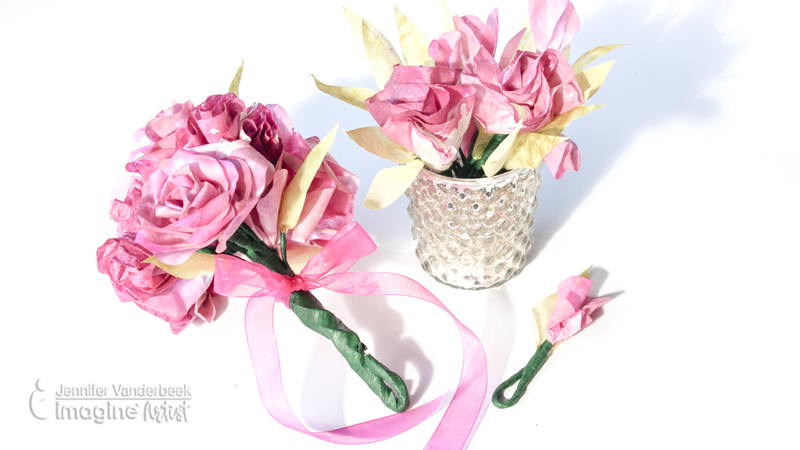 Take a minute to watch this YouTube video to see how she designed these bouquets. We like the rich purple flowers that literally pop off this banner style sign. 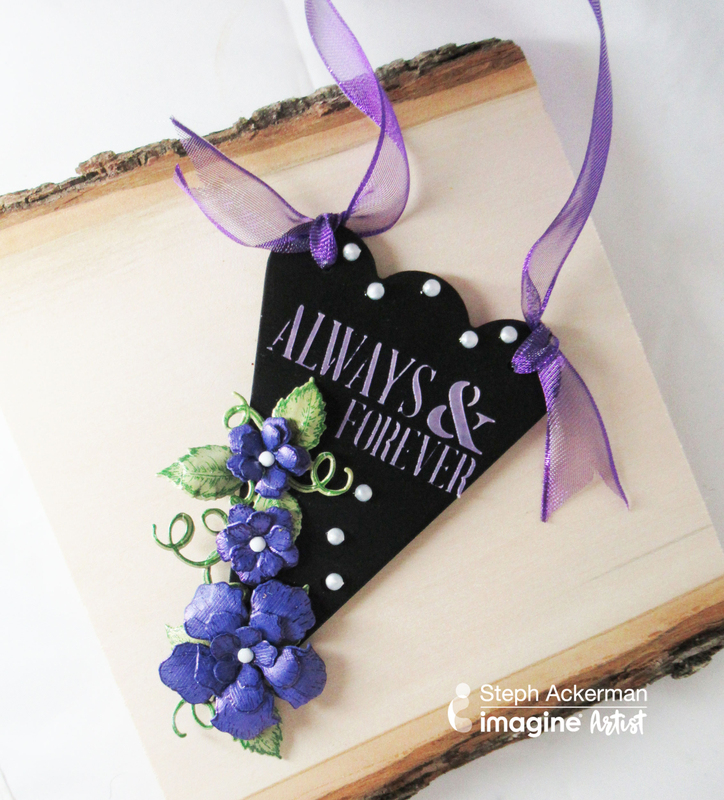 See how Steph used Creative Medium in Iridescent Purple to match flowers to “Always & Forever” text. We appreciate this lovebird design as a theme for a wedding. 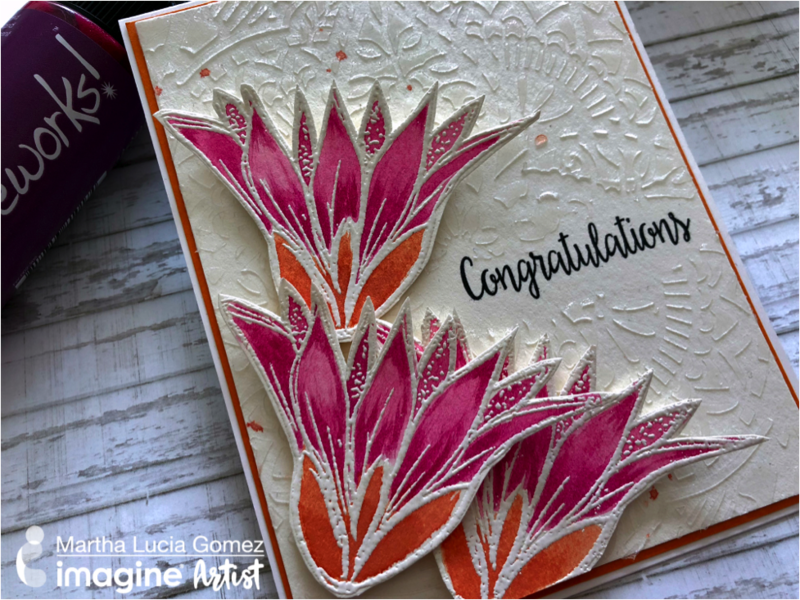 Elina goes through a couple different color schemes and design ideas to show off how to use one stamp in a variety of ways. And if you have not watched this video yet then please do! 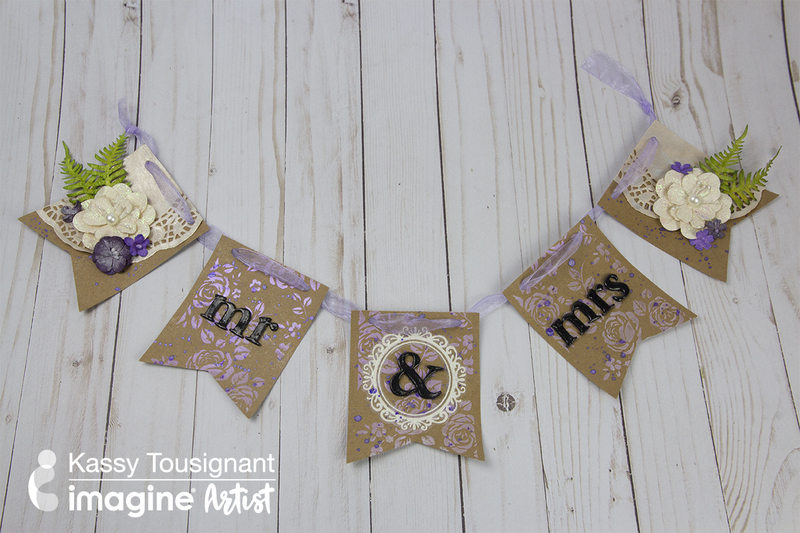 Kassy goes through all the steps of creating this Shabby Chic Mr. & Mrs. Banner.